In many cities, the holiday season is marked by the opening of Christmas markets overflowing with tasty treats and darling handicrafts. We’re highlighting five fabulous Christmas markets around the world to keep your spirits bright and inspire future travels. The Christkindlesmarkt in Nüremberg is one of the most popular and well-known Christmas markets in all of Europe. The market’s traditional opening ceremony is led by a Christkind (German for “Christ-child”), a young girl dressed as an angel. The market’s 180 Christmas light bedecked wooden stalls sell handcrafted Christmas ornaments, toys, games, and holiday treats. Grown-ups can sip cups of mulled wine and rum punch. Meanwhile everyone will enjoy Nüremberg bratwurst and gingerbread. Kids get their own Children’s Christmas Market with a bakery, post office and puppet theater. Finally, a festive parade takes place the week before Christmas. The market opens the Friday before the first Sunday of Advent and runs through Christmas Eve. 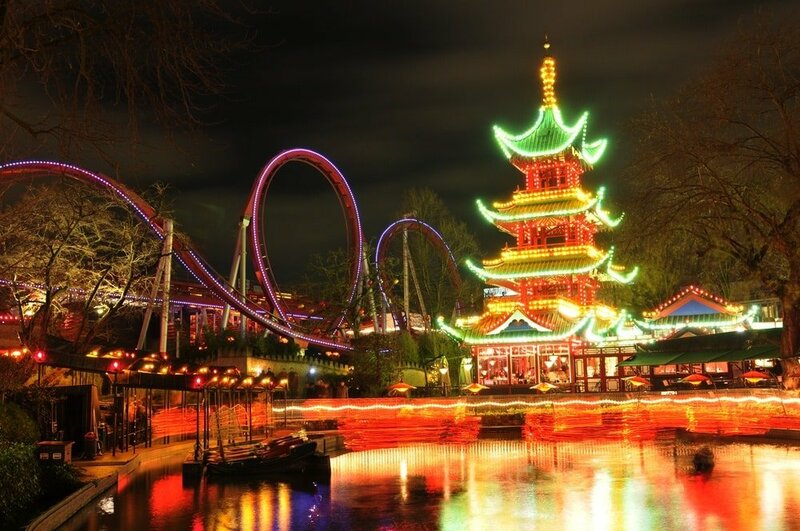 The famous Tivoli Gardens amusement park in Copenhagen transforms into a winter wonderland each year with its huge Christmas market. Shoppers wander among 50 stalls along the park’s pathways. There, they purchase holiday decorations, arts, and crafts as well as hot drinks to keep warm. The Honey Cake Castle features Denmark’s largest, elf-run honey cake-making machine. In addition to a visit from Santa Claus, look for a Nordic Lucia procession, magical bells, snow-covered trees and opportunities to meet Santa’s very own reindeer. After shopping, families enjoy the many rides and the Alpine Express train. The Tivoli Gardens Christmas market runs mid-November through the end of December. One of the largest markets outside of Europe, Chicago’s Christkindlmarket brings cherished traditions of German Christmas markets to the U.S. On Christmas Eve, the festival is visited by its very own Christkind, similar to the angelic child who makes the rounds at the Nüremberg market. Visitors warm up with glühwein (a warm, spiced German wine) while they enjoy authentic German bratwurst, stollen fruited cake and potato pancakes. 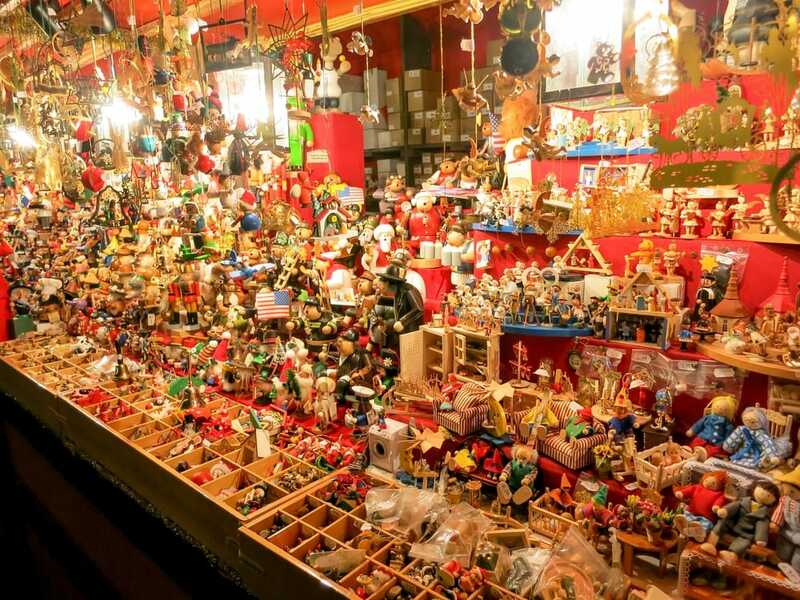 The market stalls peddle German products, including holiday ornaments and cuckoo clocks. 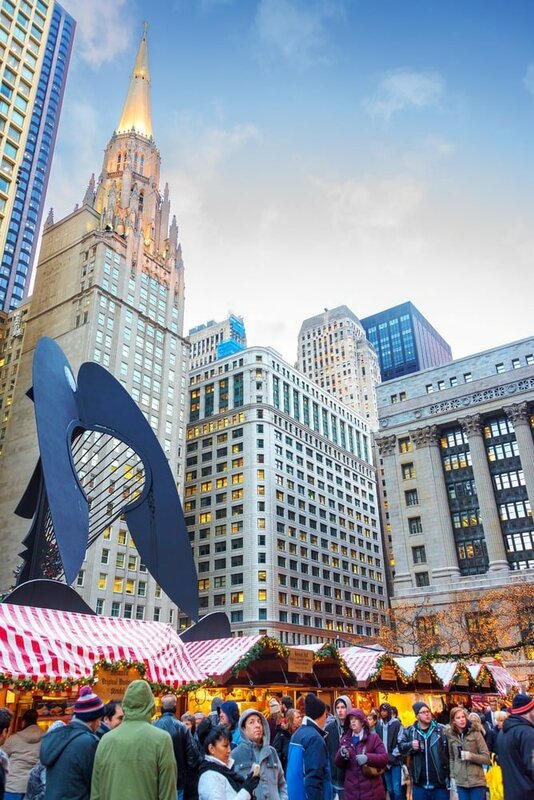 If visiting Chicago during the holiday season, this market takes place mid-November through December 24. Strasbourg is known as the Capital of Christmas in France. The Christkindlesmarik dates back to 1570. That makes it not only the most popular market in France, but also the oldest. Christkendlesmarik is actually made up of twelve Christmas markets organized by product. More than 300 stalls stretch across the city center. The market at Place des Meuniers features Alsatian food stands peddling pretzels, pain d’épices (a French spice bread), and hot spiced wine. Meanwhile, the Place de la Gare market features local produce and crafts. Of course, you can’t miss the 100-foot Great Christmas tree in Place Kléber. The tree is decorated with bright, shimmering ornaments and lights. 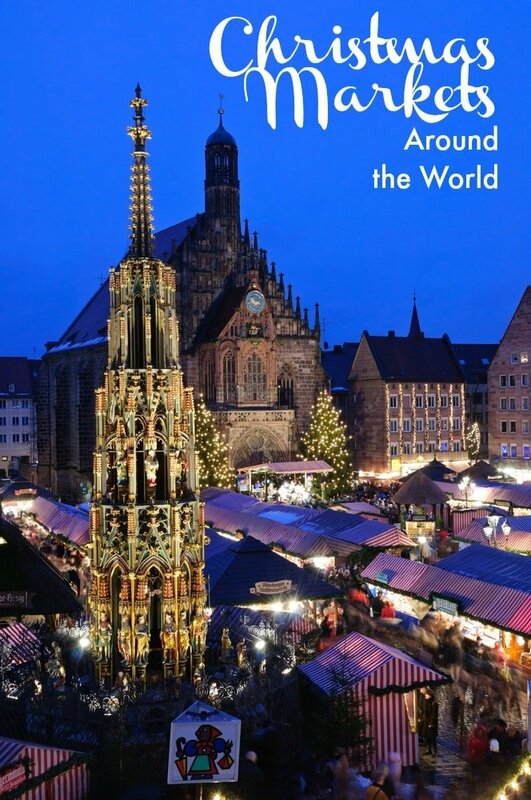 Strasbourg’s Christmas markets run from late November through Christmas Eve each year. Vancouver is home to one of the newest Christmas Markets to dazzle holiday revelers. Located on the city’s downtown waterfront, Vancouver Christmas Market features more than 50 wooden stalls. Of course, you can buy all sorts of German handmade crafts and specialty foods here. 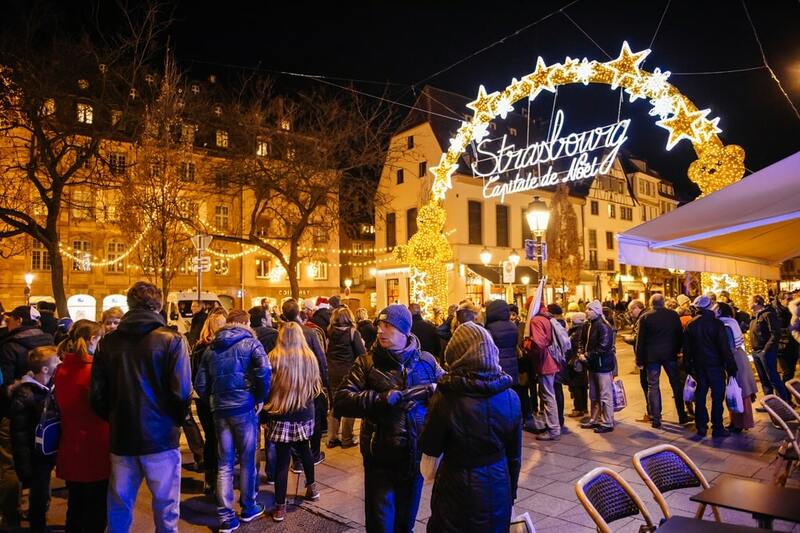 Visitors also enjoy chocolate, mulled wine, traditional German pastries, pretzels, schnitzel, and sausages. Best for kids is a spin on the city’s only Christmas Carousel. Visitors of all ages enjoy daily choir and holiday music performances at this market from late November through New Year’s Eve. 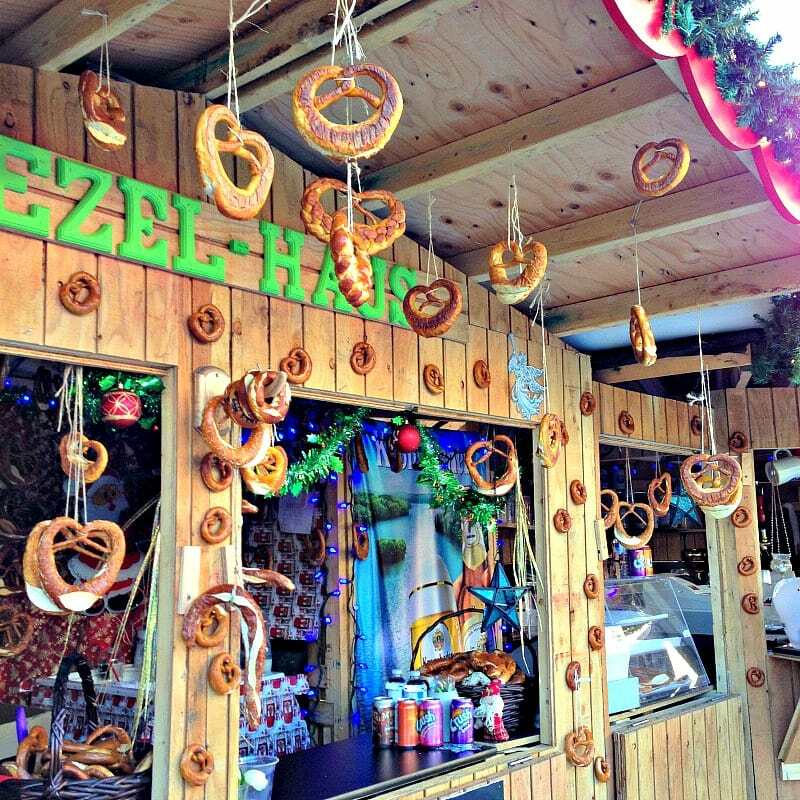 No matter which of these Christmas markets you visit, you can expect to find tasty food, interesting gifts and good cheer. Which Christmas markets have you visited? Do you have a favorite? Let us know in the comments below!